I have been thinking a lot lately on presence. Defined as, the state or fact of EXISTING, occurring, or being present in a place or thing. 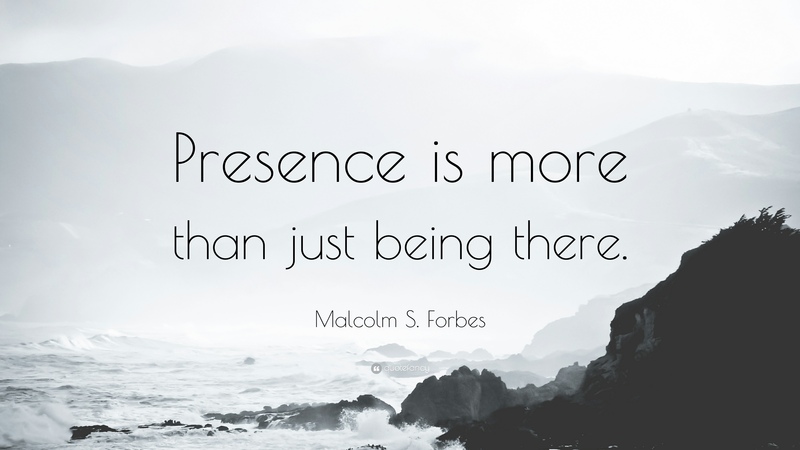 If I could pick one major value I have as a parent and as a person in general, presence is it. I believe that if we could simply become more present, intentional and authentic with our lives- we would encounter so much less stress, anxiety and pain. I could write for days on all three of those, but today is about presence. I have been thinking about this often because the more present I work to become (and believe me, I do have to work at it), the more I notice the lack of awareness surrounding me. We tend to think we are experiencing moments by taking photos, posting, sharing etc. And don’t get me wrong, I do enjoy those things, but there is a line that dances with the devil. Immediately following the horrific shooting at Parkland High school, I was working in a coffee shop as I often do, and that particular day I was feeling pretty heartbroken, helpless and really just lost. As I was working, I was observing families and people coming in and out whether sitting down with a friend or grabbing breakfast or lunch with their kids. And something continued to happen that literally made me so upset that I ended up just needing to leave because it was shaking me to my core. I was at that coffee shop for 5 HOURS and every single family that came in that day, was not present with the people they were with. Not ONE. I am not exaggerating. This is a problem. This is an epidemic. There were friends that sat down for coffee and would chat for a few minutes, not really listen to the other person, interject or interrupt with their own thoughts before the other one finished and then check their phone- repeat. The parents that came with their children, all different ages from toddlers to teenagers would sit and eat their food and scroll on their phone. Muttering a few words here and there but then right back to their screens. Probably checking an email they thought was important. Probably scrolling on Facebook. Probably shopping online. Or maybe taking a photo to post on social media about how much they love spending time with their kids…yet THEY ARE NOT EVEN THERE. And several times, if a child got fussy and anxious, as children do, a phone was shoved into their face. What in the actual hell is happening here. I notice these things all the time. I fight the urge myself. But this particular day, it really got to me. Just the day before, 17 families lost the ability to ever have a meal with their child/friend/parent ever again. Yet here we sit, hours after knowing that, and we cannot even look our own loved ones in the face and enjoy them? We are severely lacking presence, which leads to lacking awareness, which also leads to lacking the ability to sense if something is wrong around us, whether that be within our own hearts, within our families or others who need us. Even if those ‘others’ are strangers. A similar situation struck me when I was in an airport recently. I was standing in line approaching security and there was an abrupt announcement made saying that they were going to bring dogs in as a security measure and “please do not acknowledge them or pet them, let them sniff you if need be”. Okay no big deal, this happens all the time. There was a family in front of me that had three kids, two older possibly in high school, one boy in middle school, maybe younger. I noticed right away that the younger boy became visibly anxious at this announcement. He looked up to his parents or siblings for re-assurance but they were all…you guessed it…looking at their phones. As the dogs continued to walk around near us, I kept seeing the boy get more anxious and continuously look up at his parents to no avail. This only went on for about 5-7 minutes but my GOD I could feel his pain and it felt like an eternity, I so wanted to help him, to just give him a hug. I kept watching him, desperately hoping he would look at me and make eye contact so I could assure him, “it’s all good buddy, this happens all the time, nothing to be scared of!” I still regret not being more assertive and telling him that. How many of those small moments are we missing? Those moments when somebody really needs us, is going through something, but we miss it entirely. I can tell you one thing, we are missing a lot with our kids. I can see it happening every where I go. I know we cannot possibly catch everything, but I think we are missing more than we are catching and our kids our suffering because of it. Guys, I’ve been there. On long days at work or with my kiddos, I will check my Instagram feed to see what everybody else is doing as a way to “decompress” (which is a joke because it does the exact opposite for your brain). I will respond to a text message that really does NOT need to be responded to immediately. Or the most often for me, I am having a moment with my girls that I truly am enjoying and then I feel the need to take a picture and share it. I am NOT innocent and I have to constantly fight the urge to look at my phone, I have taken Facebook and Email off it a long time ago to better work on my presence. But we all have to fight harder I think. There are people that need us and we literally cannot see it because we are too busy, too clouded and too focused on ourselves and our screens. We are all hurting and we all need connection, real connection. The question I have been asking myself a lot lately is “How can I make this world better? What can I do to help?” The answer tends to ring back pretty loudly: love your kids, love your family, love your neighbors, love your community and BE the change. If we all did that in our small corner of the world, I really do think we could change our trajectory, but we have to first work on being present. Did you read this on your phone? Great, now put it down, Look around, listen to the rain, take a few deep breaths and let your thoughts sink in, it might be uncomfortable, but let yourself BE. This is where the work begins.